Background: Lung transplantation is considered an established treatment for patients with end-stage chronic respiratory failure. Patients with acute respiratory failure requiring respiratory support with invasive mechanical ventilation while awaiting lung transplantation are at high risk of death. Extracorporeal membrane oxygenation (ECMO) has been proposed as an alternative bridging strategy to mechanical ventilation. The shear stress created by the mechanical pumps causes changes in the hematological system in almost all patients treated with ECMO. An antithrombotic strategy to mitigate ECMO bleeding and thrombotic complications is necessary. The use of thrombolytic therapy is recommended for patients with acute symptomatic embolism with associated hypotension or shock. In this setting, the hemodynamic benefits of thrombolytic treatment far outweigh its bleeding risk. 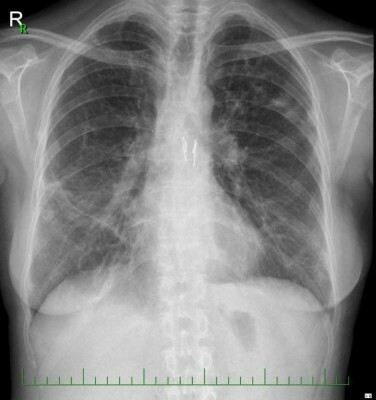 Case presentation: This case report describes a 32-year-old woman suffering from lymphangioleiomyomatosis, who underwent urgent double-lung transplantation. This patient was maintained on ECMO preoperatively, perioperatively, and postoperatively due to life-threatening hypoxemia caused by the progression of her pulmonary tissue damage. Multiple thrombi developed in the early postoperative period, in both right and left heart atria. Direct thrombolysis was successfully performed on the first postoperative day. Conclusion: According to the current published literature, direct thrombolysis of thrombi in both right and left atria in a patient supported on ECMO following urgent double-lung transplantation is an extremely rare treatment method. Even when taking into account all of the risks associated with thrombolysis and arteriovenous ECMO support, we found that this technique is very effective and, without a doubt, it saved the life of our patient.